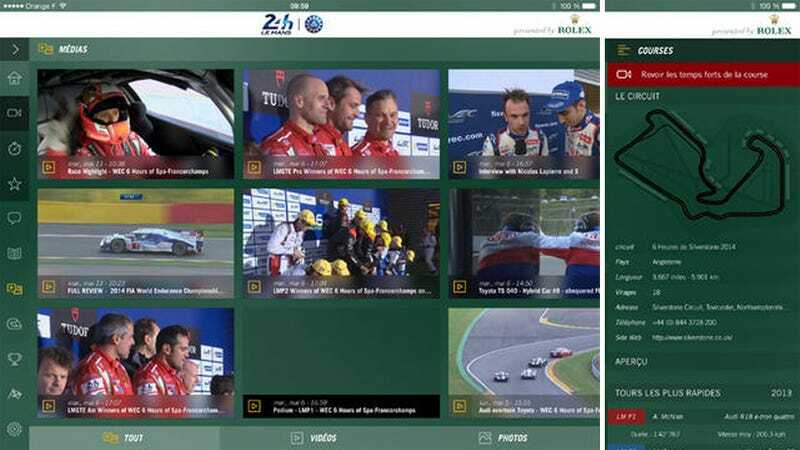 The only race that matters is just over two weeks away, and the new 24 Hours of Le Mans app is getting a massive overhaul that finally gives us what we want: live video of the entire race. Over the past few years we've had to toggle between watching the race on teevee then jumping online for the rest of the action. It's been less than ideal, forcing most of us to get our fix through a variety of nefarious channels. That changes with the new iOS and Android apps for 2014. Both support phones and tablets, and come in at the bargain basement price of $0.00. For that, you get news, live class updates, on-board cameras, car locations, driver and team info, interviews, and video. Then, on June 11th, just as the first free practice session starts, you can cough up an incredibly reasonable $10.99 in-app purchase to get the full, unmolested video feed. Finally. The "24 Heures du Mans" iOS app is already available in the Apple App Store and the Google Play Store.